Is representative democracy in Canada in trouble? The Samara Centre for Democracy, a Canadian charity working to improve politics thinks so. Their recently released report, Flip the Script, paints a grim picture of Canada’s system of elected representation. Based on interviews with 54 Members of Parliament exiting after the 2105 federal election, it portrays a hyper-partisan House of Commons where the activities of backbenchers are tightly micromanaged by party leaders and their staffs, the so called “kids in short pants”, leaving little meaningful work for regular MPs. The Samara report joins dozens of other commentaries on the unhealthy state of Parliament Hill and the growing problem of centralized power in the office of party leaders. Like others, the report contains recommendations for procedural changes to give ordinary MPs a greater voice and foster more inter-party cooperation. These include more independence for parliamentary committees and their chairs. Although the suggestions appear sensible, they seem unlikely to be implemented as long as those at the top feel the need to maintain their tight control over the activities of Parliament. Maybe this is where we need to start. As well as focusing on the frustration of our elected Members, what if we also spent some time trying to understand the reasons why we have “kids in short pants” and why they feel a need to throw their weight around. Admittedly, some of their actions can be dismissed as immaturity. It is certainly common to encounter young staffers with overblown egos on Parliament Hill. But as a one-time kid in short pants myself, who worked in the Prime Minister’s office in the late 90s, and later served as an elected member and Cabinet Minister at Queen’s Park, I can tell you that the explanation is usually much more complicated. Politics is about power and survival. The goal of every government is to hold on to power as long as possible while the opposition’s goal is to replace them. Power is the only real way to see your agenda implemented and protect voters from the wayward policies of the other side. Assuming and maintaining power involves navigating some pretty turbulent waters. We live in a world, fuelled by twenty-four hour news, that constantly demands immediate action by our political leaders to address complicated issues and unforeseen events. Governments, however, are big and far from nimble and many of the challenges facing our society are often close to impossible to resolve. As a result, those at the top are pushed and pulled in so many different directions that even a government that gives the outward appearance of being on top of things is often flying by the seat of its pants. The same can be said for opposition parties trying desperately to gain public attention in a way that allows them to differentiate themselves from the government of the day. Operating in such a topsy-turvy world demands discipline, control and the ability to ensure that everyone stays on message in an atmosphere where the media and political opponents will exploit any signs of division. In such an environment, there is little incentive to surrender any power held by the leader’s office which is often the only group that is creating some semblance of order. Why would they want to give more power to the backbench or create prima-donna independent committee chairs to add to the pile-on? Why would they cede power to the opposition to give them a bigger platform to criticize the other side? There is also something a bit overblown in the romantic image of the backbencher as an unsung hero full of creative solutions to all our problems. Although there are lots of smart people in the backbench, in my experience most are equally overwhelmed with the many challenges facing our society and few possess unique insights into the issues of the day. Does that mean that mean we don’t need their input? Of course not, it is crucial to our democracy that all elected officials play a more meaningful role in our parliamentary system. Achieving that role, however, requires much more than procedural changes. To succeed, our entire political culture needs to be radically changed. We need to create a system where encouraging a diversity of views and cross-party cooperation is an important element of achieving and maintaining power. This is a very tall order but radical change in politics is not impossible. Think of the way the federal Liberals have altered the nature of our Senate from a quiet dumping ground for party faithful to an actual chamber of sober second thought. Think of the way Doug Ford appeared to throw all the traditional rules of campaigning out the window in his successful run to be Ontario’s premier. Figuring out practical ways to give the backbench a voice is going to be complicated and require advice from everyone involved in governing. Maybe Samara’s next project should involve interviewing exiting “kids in short pants”. 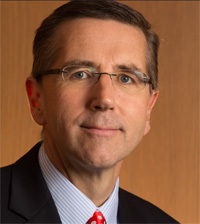 John Milloy is a former MPP and Ontario Liberal cabinet minister currently serving as the Director of the Centre for Public Ethics and assistant professor of public ethics at Waterloo Lutheran Seminary, and the inaugural practitioner in residence in Wilfrid Laurier University’s Political Science department. He is also a lecturer in the University of Waterloo’s Master of Public Service Program. John can be reached at jmilloy@wlu.ca or follow him on Twitter @John_Milloy.